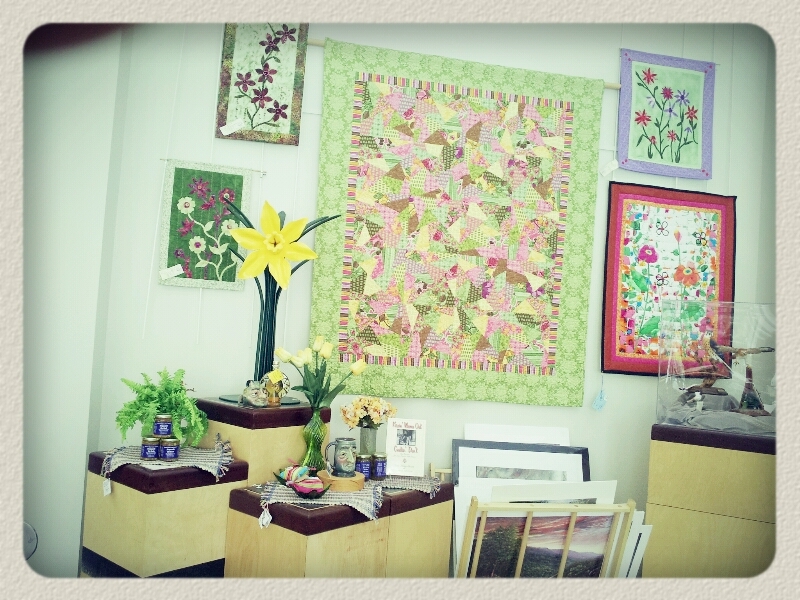 Guest - The first I knew of Emily Herrick's work was when her first fabric line came out called 'Going Coastal'. Well you know me..I love all things beachy so had to take a look! Emilys fabric line was so cheerful and delightful I had to add it to my collection. Excited today to have Emily on these show to talk about her fabric AND her new selfpublished book.. "Geared for Guys". Guest - The ever delightful and oh so talented Sherri Falls joins me to chat Bag making! Her bag is on the cover of the current Quilts and More issue! Guest The 2nd half of the show is all tips and tricks with the editors of American Patchwork & Quilting! Then Jennifer Keltner and I give you an update on the 1 Million Pillowcase project. 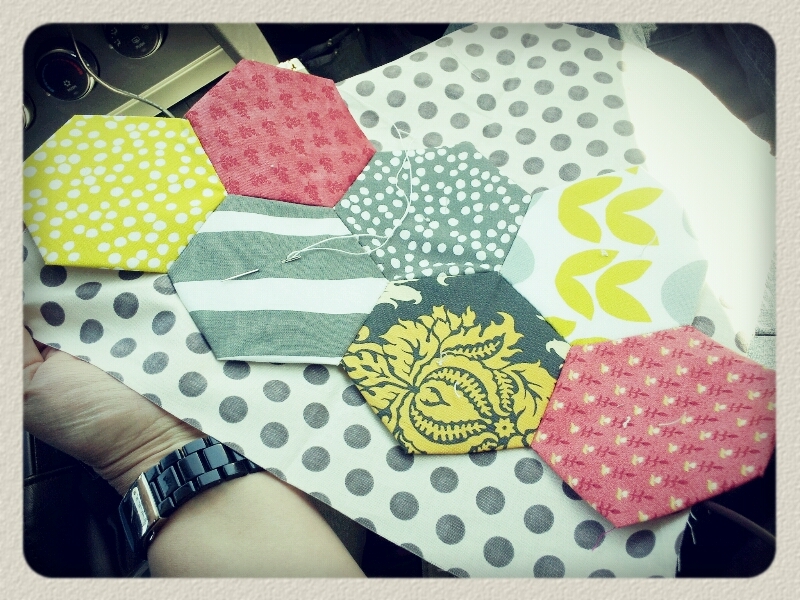 Basting the hexies in the car. I asked on facebook if people would leave the hex papers in when basting or take them out before they baste. What would you do while basting hexies to the background while in the car? 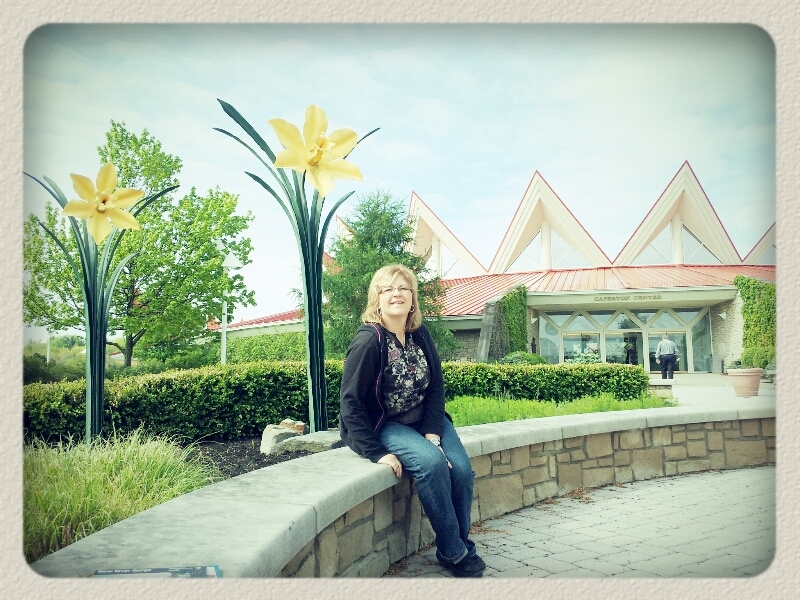 On our second leg of the trip home with a stop at Tamarack. Have you been? The best.arts and.crafts people in west Virginia have their work for sale. I really love the circular building.. although for a 1996 building it looks more 70s style to me..
Lord of quilts and amazing wood and iron. 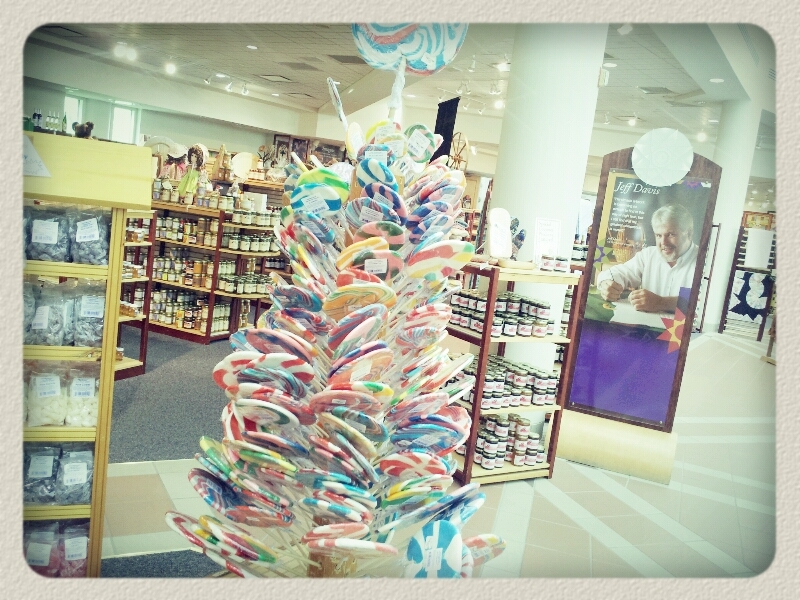 Those lollipops were so cute in that stand ..